In the end, I consider it a minor miracle that I didn't end up throwing the Next5 across the room in pure frustration when I found myself grappling with the touchscreen's lousy performance. My final verdict: if you don't mind using a stylus to navigate your Android device or you have particularly long fingernails, you might enjoy this creation. 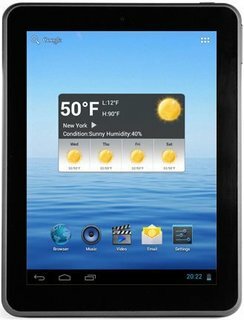 But if you're expecting it to perform at least something like the other more expensive tablets you've seen, guess again. It's still using the same software and mostly the same hardware last year's NextBooks used, so its functionality is limited. A lot of games aren't going to work, the screen resolution could be better, and adding apps can be tricky with no Android Market access and the Amazon appstore doesn't work. 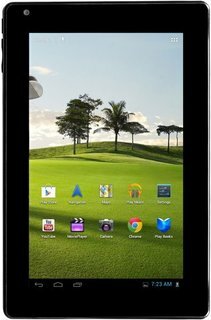 For an extra $50 - $75 you can find an ereader/tablet with better specs and Android 2.2 so it all depends on how much you're willing to spend. I like the Next6 hardware quite a bit. Sometimes it actually feels a little snappier to me than the Nook Color and I found the multi-touch capacitive display to feel more responsive than the Nook as well. The things that bother me about this player are the buggy reader and market apps and the fact that it can’t be upgraded to newer versions of the OS. For these reasons, I’m torn as to whether I can really recommend the Next6. Android tablets that have both pen and finger input are rare, which is why EFun's Next5 tablet--and its $299 price--were initially intriguing. However, this slate's sluggish performance, woefully inaccurate touchscreen, and cheap design make it a poor option for users looking for a versatile 7-inch tablet. If you absolutely must have a tablet with pen input, save up for the EVO View 4G or the HTC Flyer. But buying the EFun Next5 would be like throwing your money away. Now that they're the next big thing, there's a flood of tablets coming from every company across the board, and the Next3 is a perfect example of what most of them will be like. 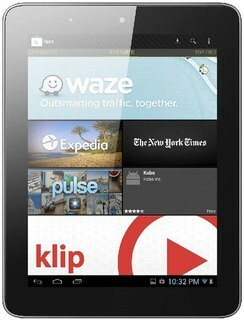 It seems rushed in an attempt to quickly get its foot in the door and compete in the burgeoning tablet market. It's mediocre at the very best, with nothing to set it apart from the rest of the crowd. 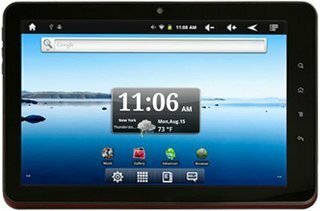 It even lacks certain features that would have made it an average tablet—such as a stronger processor; data or Bluetooth connectivity; a sharper, more responsive display; better, more functional apps—and the features it does have usually deliver sub-par performances. As so many of the problems I had with the Next3 were software related, I can only hope that the device receives a much-needed firmware update that can ameliorate at least some of the litany of bugs and errors that so often arise. There is a section on the Next3 website for firmware updates, but it's currently empty, listing only a message that says "Coming soon! Please check back again later." Great now that it has Google Play! Visit the E Fun Q&A Forum to get answers, ask a question or help others.